What is a Current Seam? In a river, a current seam is where water from different currents collide. It creates a distinct line on the surface that many anglers like to target. A current seam is a place where trout food passes, in faster current, and where trout stage to feed, in the slower current. Current seams allow trout to feed heavily with the least amount of energy spent per calorie of nutrients, aka BUGS. The Currentseam.com is not your average place to find a trout or bugs. The Current Seam is a place where the staff at CrossCurrents Fly Shop collaborate their experiences and ideas to share their love of Montana and the Missouri River in Craig, MT with the rest of the fly fishing world. Stop by one of our shops in Craig or Downtown in Helena, or visit our webpage at www.crosscurrents.com to share your passion of anything fly fishing. 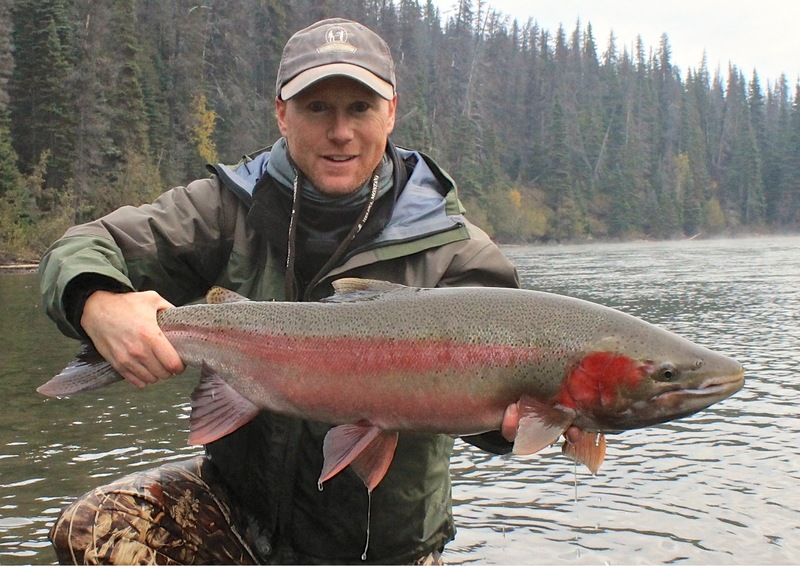 Chris Strainer: Owner/Manager/Guide/Fly Fishing and Fly Tying Instructor has been fishing and hunting since he was big enough to handle a rod and gun. Chris started fly fishing in 1982 and it has taken him to some wonderful places including Ireland, Canada and all over the United States. His addiction for the sport eventually got the best of him and he decided to give up his career as a field biologist for The Nature Conservancy to run two fly shops! He still gets to somewhat use his Biology Degree from Furman University and graduate studies from SFS at Northeastern University, University of Alabama at Birmingham and South Dakota State University as he is a member of the Citizens Advisory Panel for the Future Fisheries Improvement Fund for Montana Fish, Wildlife & Parks, and is a current Board Member of the Pat Barnes Missouri River Chapter of Trout Unlimited (a two-term President, Vise President & two-term Treasurer), and also was on the Montana Trout Unlimited State Council. Jennifer Harris-Shop Go-to-Girl, joined the crew in 2010 and has taken on many hats for CrossCurrents. 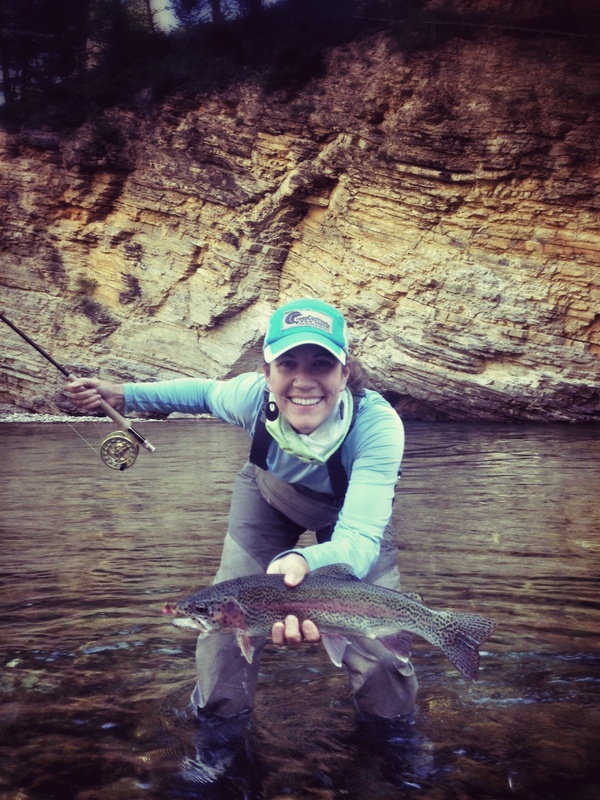 Growing up in northern Cali fishing small streams, Jen is very comfortable in a pair of waders and her Helios 4-wt rod in hand. Having a background in graphic arts, Jen will be doing most of our marketing and website work (as well as scheduling, merchandising, working on the sales floor in both shops, a bit of bookkeeping, scrubbing toilets…. and raising 3 kids!). Taylor Todd- Grew up in Northern California and has since called four different states home. He is excited to call Craig, MT home again for the fishing season and can’t wait to catch his next Missouri River trout. Taylor hails from the prime wine country of Northern CA where he grew up helping his family grow grapes. Since his ranching days, Taylor learned to fly fish while getting his degree at Oregon State University. At one point he thought he would never leave the land of the fabled steelhead, but who could resist living in the trout bum capitol of the world? We need to just convince his girlfriend to work in Montana when she gets done with her MS in nursing degree! When he’s not in the Craig and Helena shops, you will find Taylor, and his lab RIO, in his new Clackacraft guiding on the Mighty MO. Billy Brann- Growing up in the west provided Billy with vast opportunities to fish throughout Utah, Wyoming, and Montana. He spent the past 5 years fulfilling a bachelors degree in fisheries biology at the University of Montana in Missoula, where he also took full advantage of the rivers that run through it. Nothing gets Ol’ One Eyed Bill more jazzed than the thrill of epic insect hatches and the ferocious fish that eat them here on the Mo. When he is not on the prowl in the streets of Craig, he can be found on the water, hoping to cup a feel of the Missouri River’s bounty. When he’s not in the shop, you can request to fish with Billy this season as he guides his way on the Missouri for 2014. Brock Long– Growing up in the mid-west, Brock spent a lot of time chasing warm water tail throughout his youth. He moved West with intentions of guiding and working in the industry in anyway possible. He is in constant search for a van to park down by the river, last season Brock found his fix parking a RV outside of CrossCurrents Fly Shop in Craig, MT. Brock has been fly fishing his way to the trout bum capitol of the World for 10 plus years. Although he does some guiding, most days you will find Brock at The Ranch at Rock Creek as an IT guy. Brock believes that the trout fishing on the Missouri River is pretty significant, so get over here. Check out his blog at http://www.montanadrifter.com. We all enjoy the photos on your blog as well! If you are ever interested in doing some stuff around The Missouri River or with fly fishing in general just give CrossCurrents Fly Shop a call. We would love to help! Boys, how are you? Spring will be here soon, with lots of water apparently, and we’re looking forward to seeing your smiling faces in the shop again. Billy – drop me a line sometime, got a question for you. Garrett, Billy will be back in the shop after March 20th.